Pain generally is a sensation, usually protective, that gives the body a warning sign, showing that something is wrong. It could be mild and bearable and sometimes extreme and highly unbearable. For tooth pain, it has been recorded to be the second most painful sensation in the human body. Due to its gradual progression, many people decide to overlook it and don't seem it fit to handle it as an emergency case not until it graduates to being unbearable. It is at this time that they start finding it difficult to sleep at night, the pain wakes them up and causes gross discomfort for them. Then, they decide to consult their dentist. Tooth Damage: It is very common for tooth damage to cause tooth pain. A broken or chipped tooth due to trauma can cause pain to the tooth. A damaged filling, crown or dental implant can also trigger tooth pain. Your dentist will fix this problem with a new crown or filling. Tooth Decay: This is another common cause of tooth pain with several degrees of seriousness. 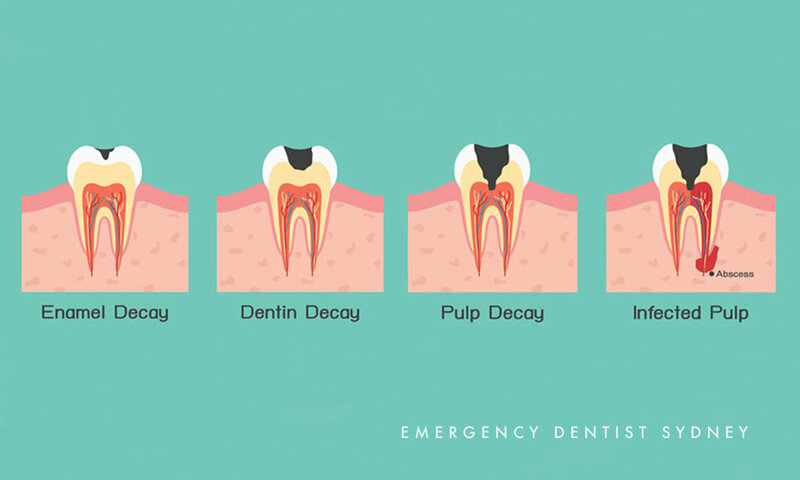 A cavity can eventually occur in your tooth if you leave your tooth decay untreated. These cavities can grow larger and can be very painful particularly when it gets to the nerve ending. Abscesses happen when the infection reaches the nerve and pulp inside the tooth. Your dentist will usually drain the site to get rid of the pus and give you painkillers and antibiotics to combat the infection. Gum Disease: Gingivitis left untreated results in periodontitis, also known as gum disease. This is usually associated with redness or swelling of the gum which can be due to plaque accumulation in the area. Tooth pain as well as gum pain are symptoms of gum disease. If you are at the gingivitis stage, your dentist will clean your teeth and gums to remove the plaque buildup. If the gingivitis has led to periodontitis, a root canal treatment may be required. Sinus Pain Infection: Sinus infection usually causes pain in the tooth, particularly the upper back corners of the mouth. If sinus infections are a regular thing for you, you may have notices a pain in your teeth located near the sinus cavities. Decongestants or other sinus relieving medications may be able to help you, just ask your doctor for advice on these medications. Heart Attack: Pain from a heart attack can radiate into the lower jaw. Diabetes: Uncontrolled blood sugar increases your risk for tooth decay which will lead to tooth pain. Drug Abuse: Abnormal use of some drugs such as Methamphetamine can cause tooth pain. Vitamin Deficiency: Low level of Vitamin B12 in the body usually causes tooth pain. Practising good oral hygiene is always the number one prevention method. If your tooth pain is unbearable and it is associated with a fever or any other pain, don't delay your visit to the dentist. Do not self-medicate so as not to complicate issues for yourself. 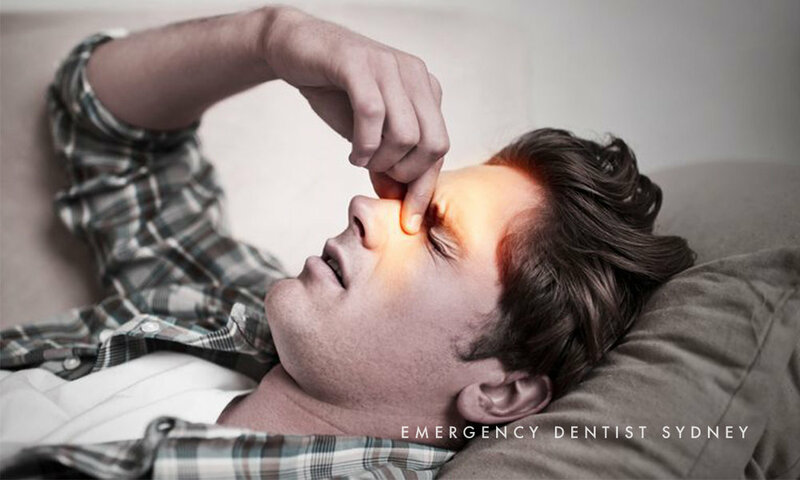 Tooth pain should be considered an emergency situation and the need to visit a dentist as quickly as possible should not be delayed. Our dentists will help you with a treatment so you walk out pain free. Older PostWhat Does a Dental Emergency Look Like?